When it comes to issues of child custody, child visitation and child support, non-biological fathers' rights are often called into question. Many circumstances are involved in determining the rights and responsibilities of non-biological fathers, and non-biological parents in general. In California, the Family Law Act spells out the legalities of custody rights for non-biological parents, and many other states have similar acts and laws as well. It is important for those who are involved in raising a child who is not biologically their own to learn more about their rights. Non-biological fathers are most often men who have been responsible for financially supporting and raising a child or children whom they believe to be biologically theirs but are later determined not to be. This is only one non-biological father scenario, however. Men who voluntarily raise and financially support children who are not their own, including stepfathers, can also be considered non-biological fathers. All states have laws for deciding issues of child custody and support in relation to non-biological parents. In California, The Family Law Act states that biological and adoptive parents are responsible for the financial support, welfare and care of their children, and that they have certain basic custodial rights, as well as the right to make medical, schooling, child care and other decisions pertaining to the welfare of their children. Under the act, non-biological parents cannot legally be considered parents unless they are the legal adoptive parents of a child, or unless an order granting them parental rights to the child is in place. If one or both of the biological parents die or give up their parental rights to their children, or if the relationship between the biological parent and the non-biological parent ends, non-biological parents must petition the court for custody rights in order to be considered the legal parents of the child or to obtain visitation rights. When a non-biological parent wants to obtain visitation rights or custody of a child, he will have to submit a petition to the court and submit evidence that he has been directly involved and responsible for the emotional and physical welfare of the child.The rights of the biological parents are always considered first, but if it can be determined that they are unfit, unable or unwilling to be responsible for the care of their child, then other potential guardians have a better chance of obtaining full or partial custody. The court takes many factors into consideration when determining non-biological fathers' rights in custody and visitation cases, including the parent-child relationship between the child and the man; the age of the child; and whether the biological mother or the legal guardian of the child supports granting parental rights to the non-biological father. Courts also take into account the relationship between children and non-biological fathers when it comes to child support cases. If a man has not formally adopted a child but has acted as a parent and financially supported the child in the past, he may be ordered to pay child support in the event that he and the child's biological mother or legal guardian divorce or separate. 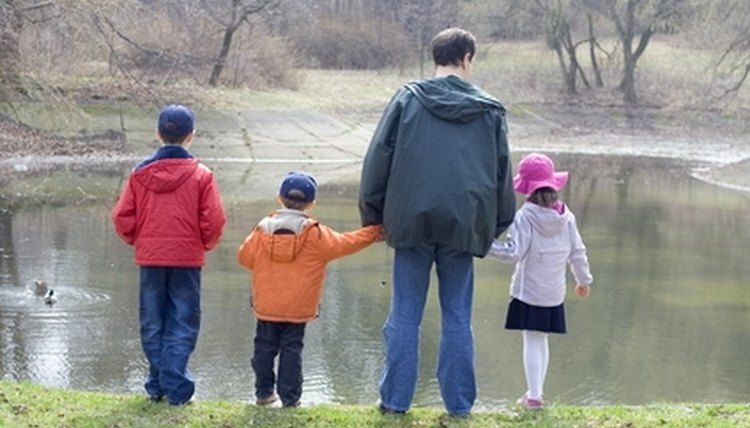 Child support and child custody are complicated matters, especially when non-biological parents are involved. For this reason, non-biological fathers should always consult an attorney when they are involved in these types of cases in order to learn more about their legal rights and options. Baker, Hazel. "Non-Biological Fathers' Rights." , https://legalbeagle.com/6326184-nonbiological-fathers-rights.html. Accessed 21 April 2019.